After the qualifying session its pretty obviou Porsches are the fastest cars. But in a 24 hour racing, with les tyre degradation and alsso taying competitive, Audi is in to fight for another victory, when Toyota eems of pace, and Nissan, doesnt really count. 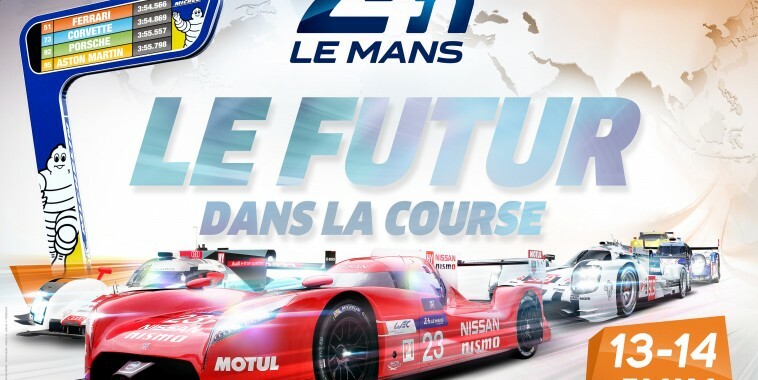 On LMP2, a expected many posible winners, and in GT with one le corvette, Aston martin, Ferrari and Porsche eem to have the upper hand, but dont scratch Corvette just yet. Dicuss and talk anything on your mind about the mit iconic motorsport endurance race in the World, Before, During , and after the race. to begin with i d love if Audi nº9 with Portuguee driver Felipe Albuquerque would win, if not, then the Red Porche, but i do think it the Audi with Andre Lottere that will win, in a close fight with Porche. either way, Porsche won, no wonder, the car with an F1 racedriver, Nico Hulkenberg. You can love or hate f1, but it i where the best racedrivers are, all the rest is bs.